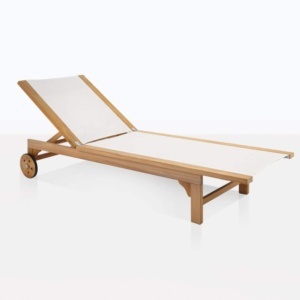 Want a modern backyard lounge look that will stand the test of time? 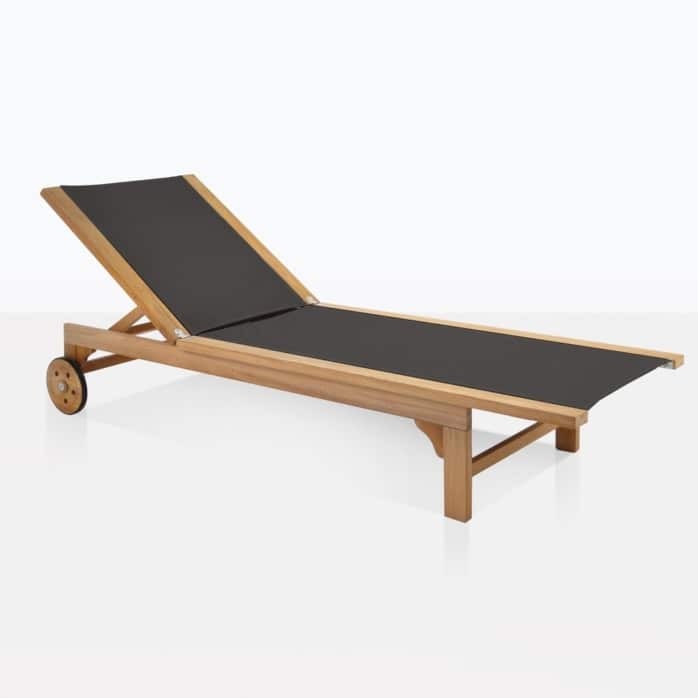 Look no further than our a-grade teak and Tango black lounger. 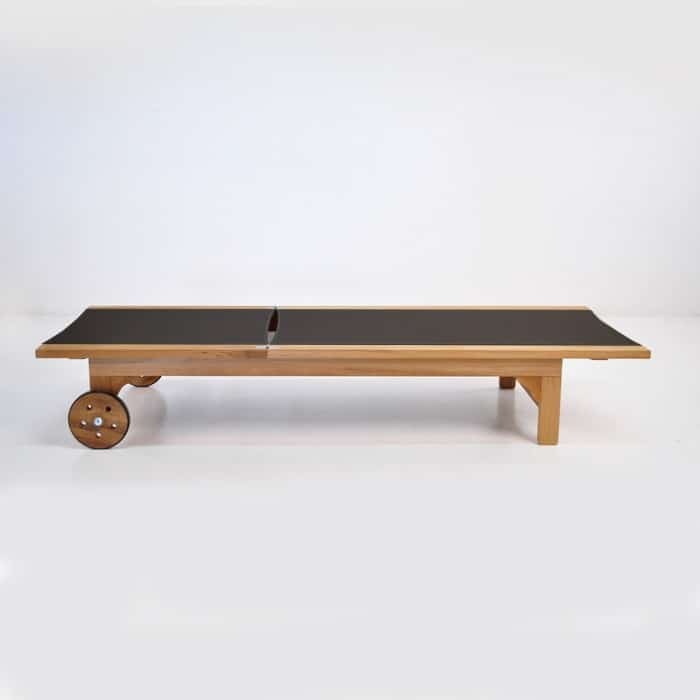 The structure of the a-grade teak and smooth lines of the outdoor mesh are a perfect mix for a contemporary and classic vibe. Outdoor mesh is wonderful for the outdoors and so comfortable that you don’t need to add cushions. 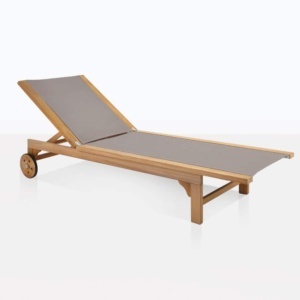 The Tango lounger consists of A-grade teak, outdoor mesh, marine grade stainless steel and aluminium. 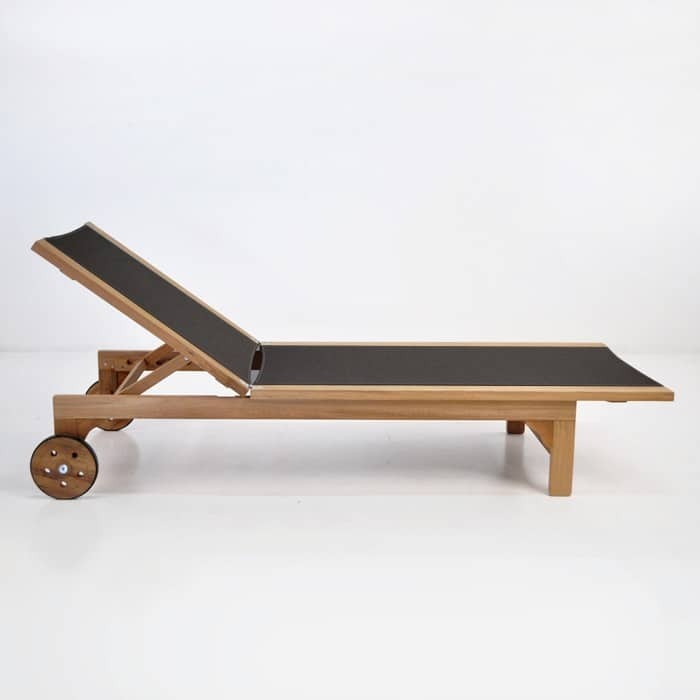 Adjust the back height of the lounger 6 different ways depending on your mood. 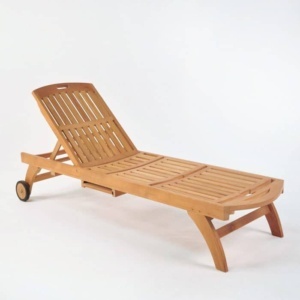 Move the sun lounger poolside or in the garden with ease because it has two back wheels lined with rubber. 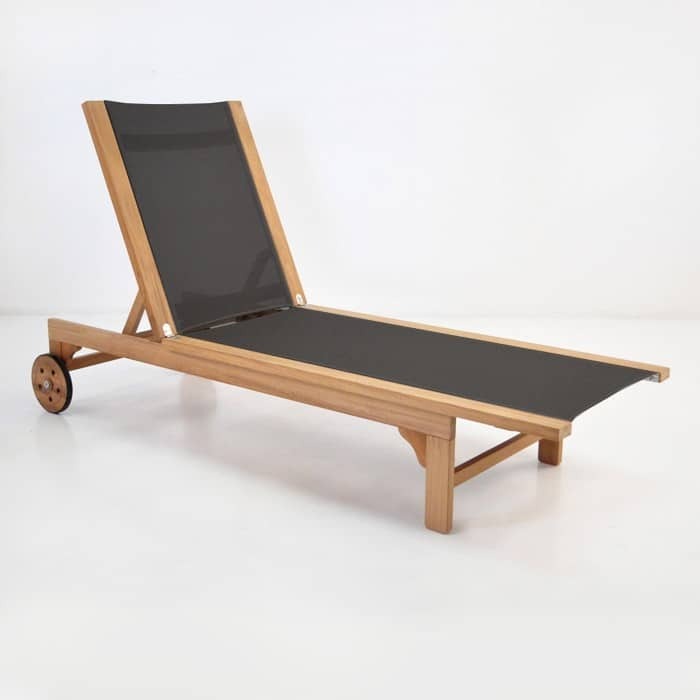 This sun lounger is simply elegant and made of the highest quality.